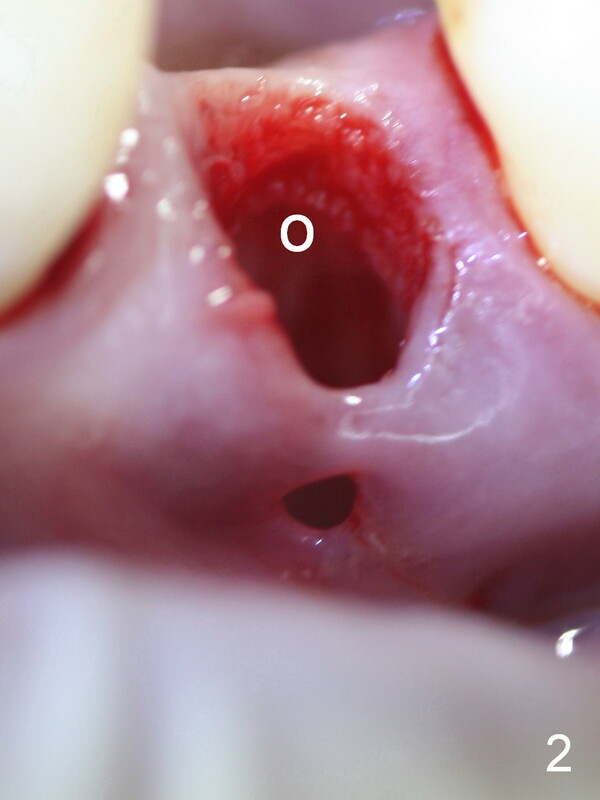 The extraction socket of the lower left 2nd bicuspid is oval (Fig.1 S) with buccal wall defect (<). 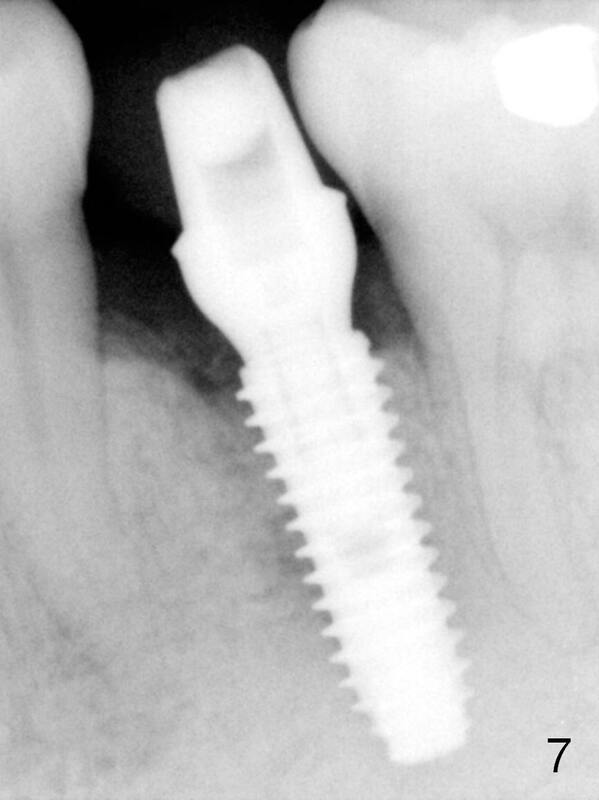 The osteotomy (Fig.2 O) is initiated as lingual as possible so that there is enough room to repair the buccal defect. As known, the mental loop exits buccal. 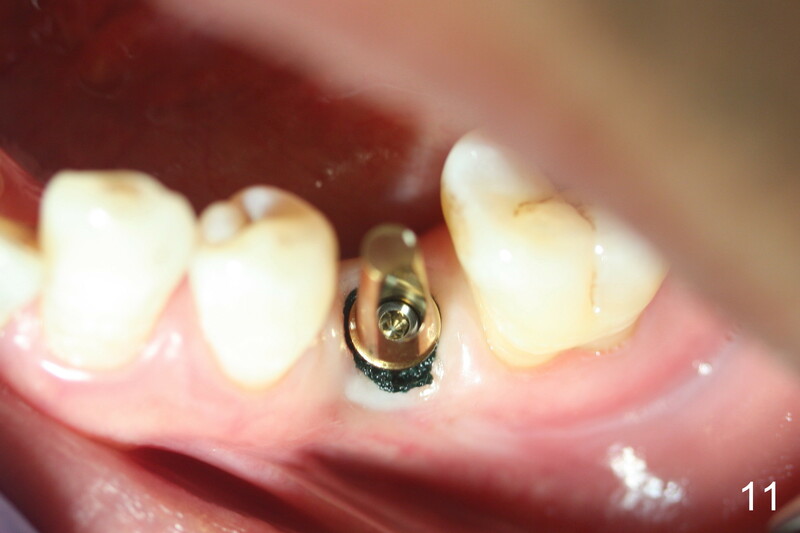 Lingual implant placement is safe. 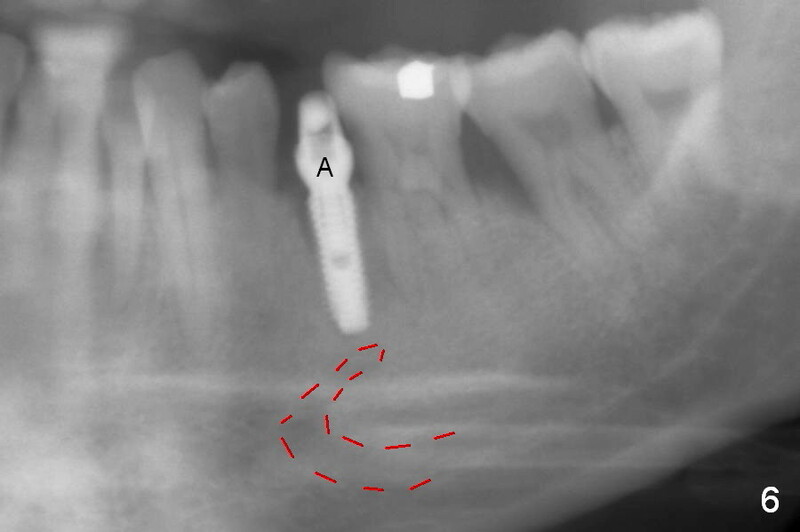 Initial osteotomy depth check shows new bone at least 5 mm (Fig.3), while there is about 2 mm separation from the mental loop vertically (red dashed line). 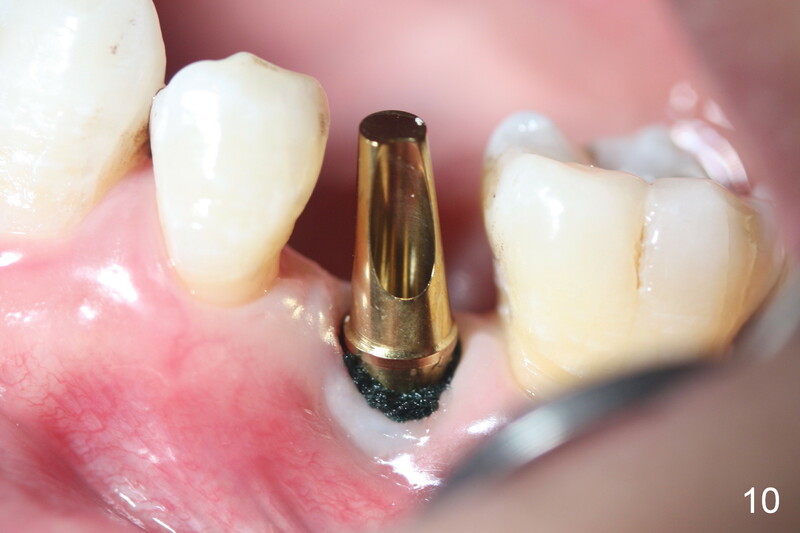 Because of high density, a 3.8x13 mm drill is used prior to placement of a 4.5x13 mm immediate implant (Fig.4,5). 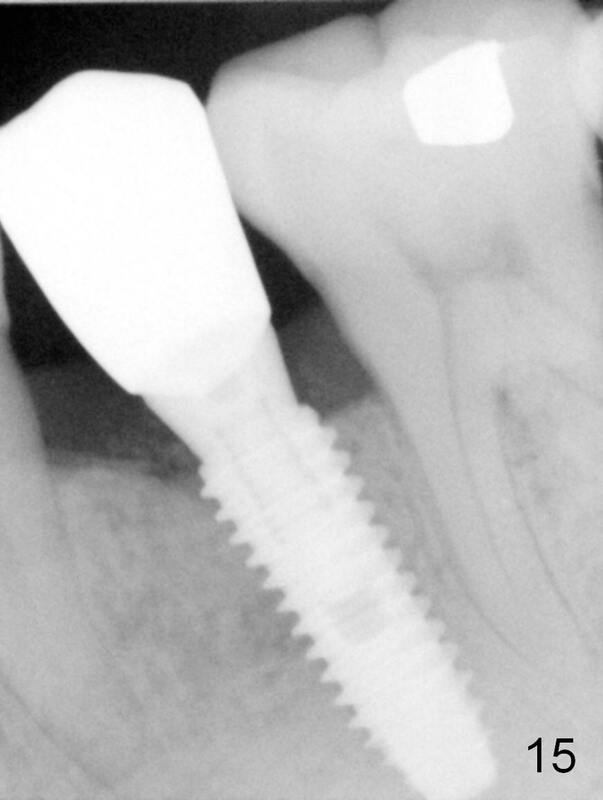 For most of immediate implants, osteotomy should be under prep. 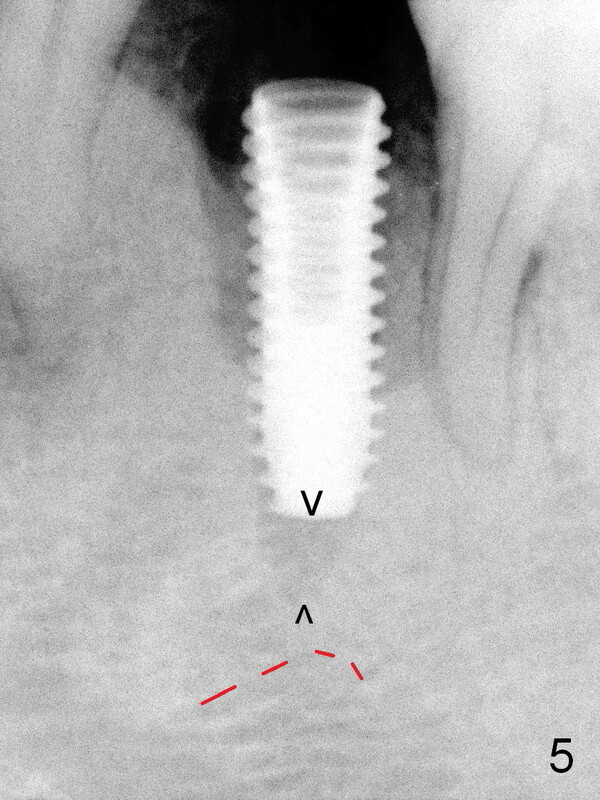 The apical space (Fig.5 between arrowheads) is finally closed by seating the implant lower (Fig.6). 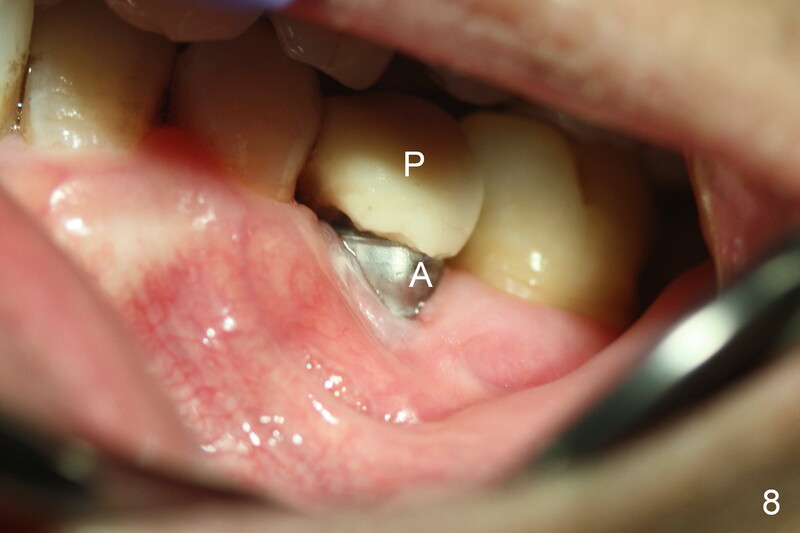 A 5.5x5(4) abutment is placed (Fig.6 A) for an immediate provisional. 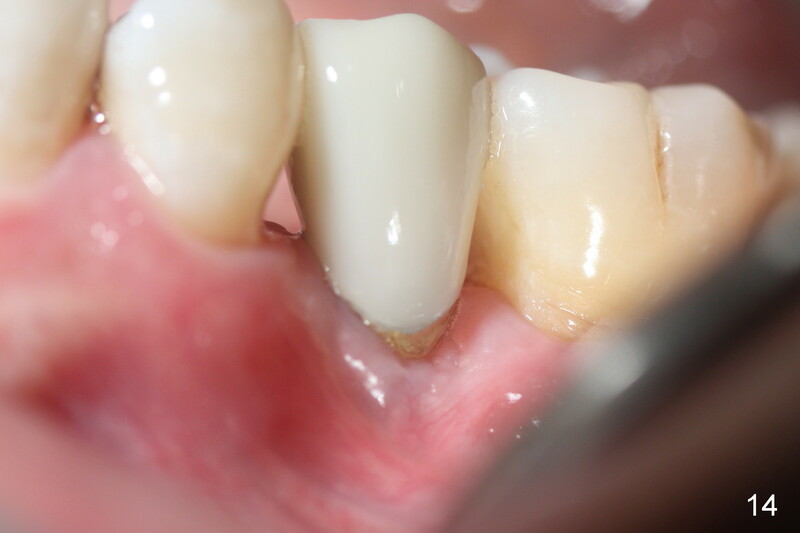 The latter helps close the buccal defect after placement of bone graft and collagen membrane (combination of long- and short-termed resorption membranes). 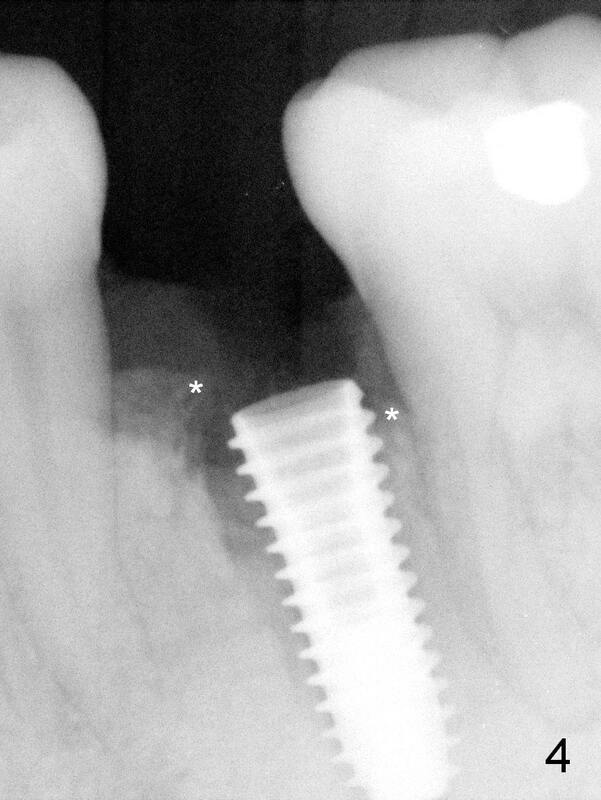 When the patient returns 1st time postop (nearly 2 months), food debris is found between the implant and the gingiva. The margin of the provisional is trimmed with instruction of local oral hygiene. 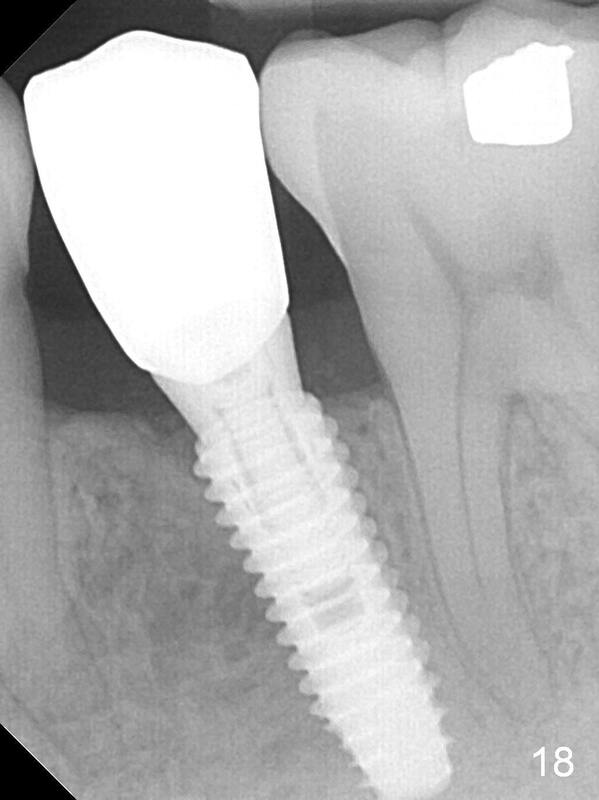 When he returns 2nd time (4.5 months postop), the implant appears to have osteointegrated (Fig.7). The buccal gingiva remains recessive, although healthy (Fig.8). 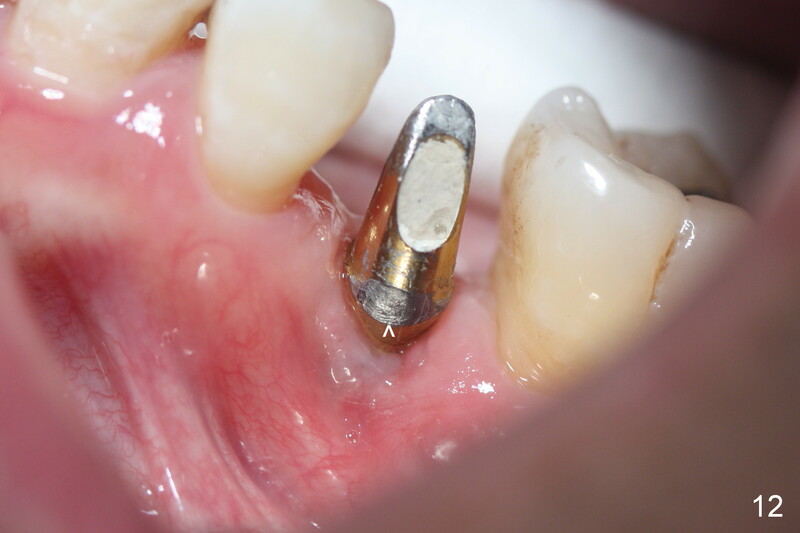 When the provisional is removed, the abutment is found to be tilted buccally (Fig.9). 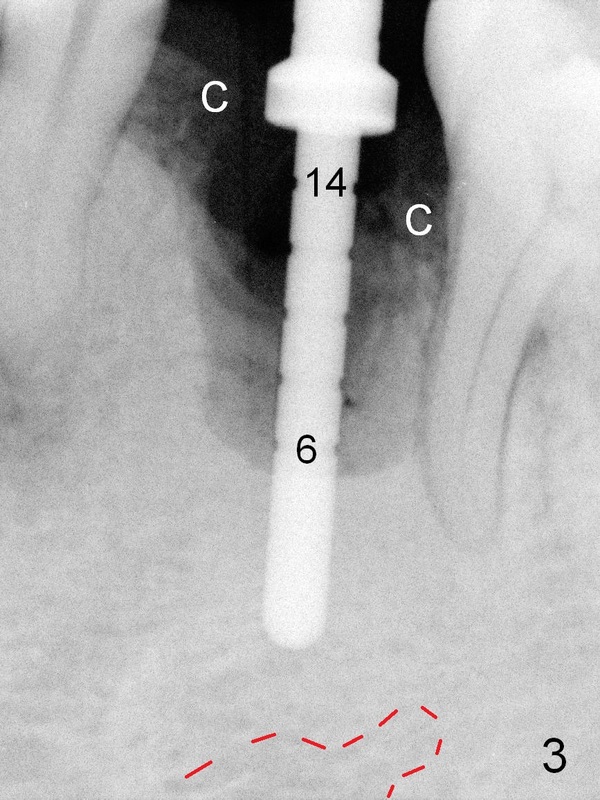 When a 4.5 mm 15° angled abutment (3 mm cuff) is placed, the trajectory improves (Fig.10,11). 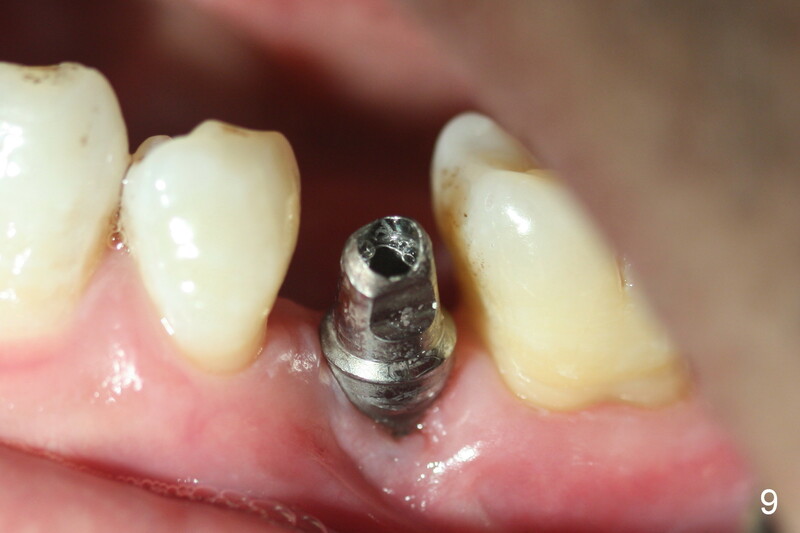 Impression is taken after the buccal margin the angled abutment is lowered with chamfer bur. 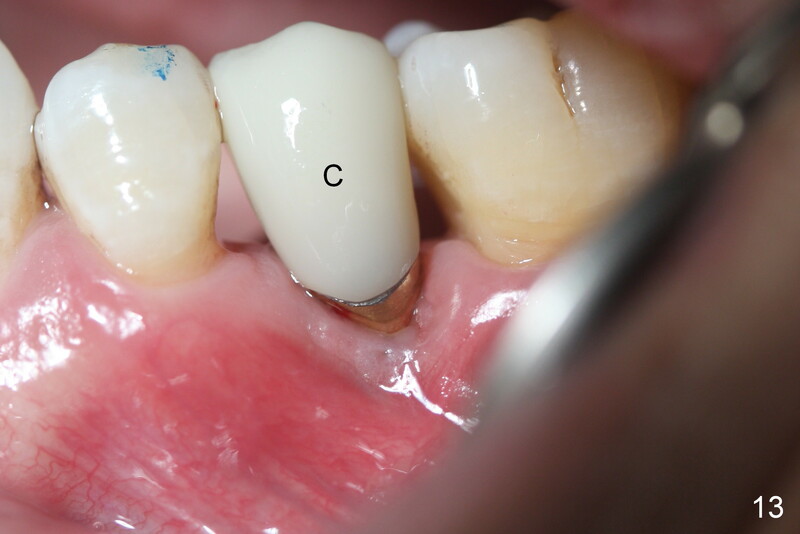 Fig.12 and 13 are taken prior to cementation of the crown (C). 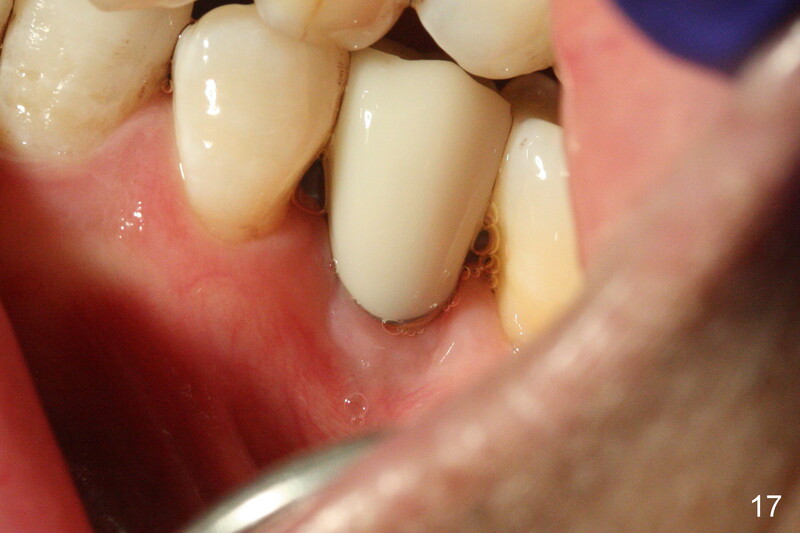 The gingival margin is expected to grow coronally after cementation (Fig.12 ^: chamfer margin). 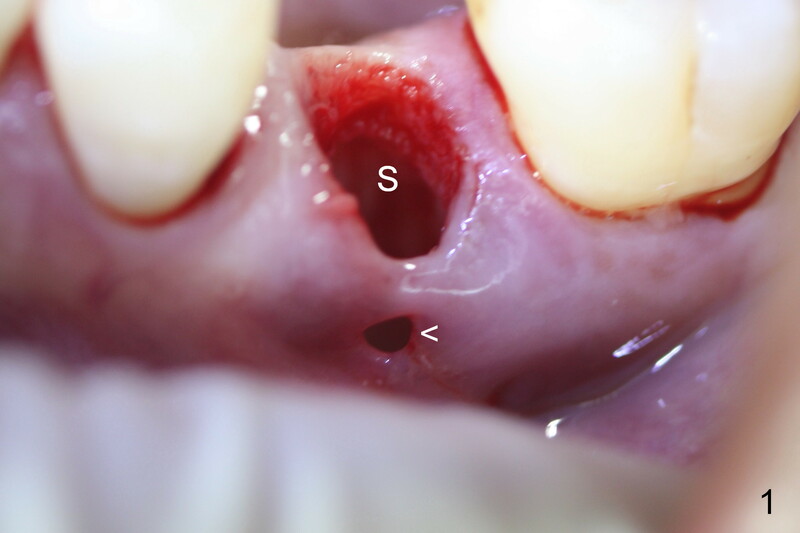 The buccal gingiva appears to be more mature 2 months (Fig.14) and 6 months (Fig16) post cementation. Bone density increases 6 months post cementation (Fig.15). 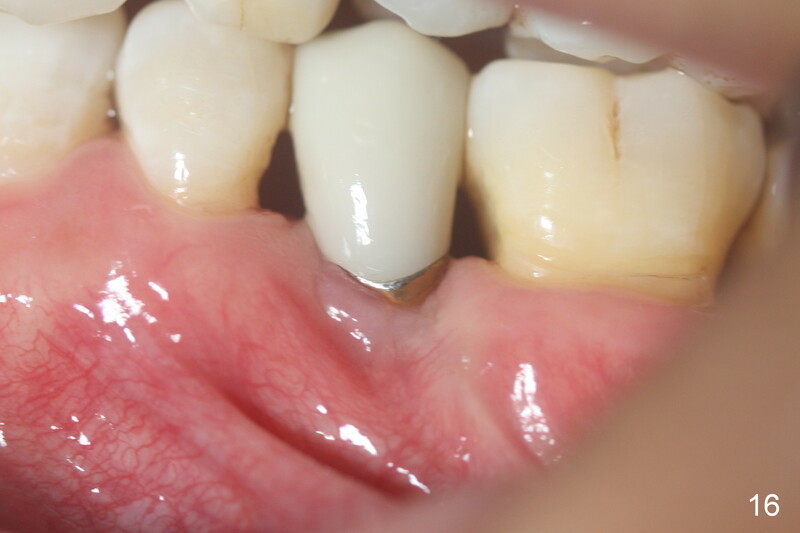 The trends continue 11 months post cementation (Fig.17,18).